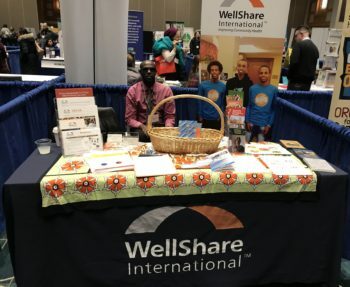 On February 10, WellShare staff participated in the 2018 Minneapolis Community Connections Conference at the Minneapolis Convention Center. Hosted by The Neighborhood & Community Relations, the conference showcased nonprofits, elected leaders, community organizations and others for community members to learn about civic engagement opportunities, community partnerships, social justice initiatives and ways to shape local government policies. WellShare staff spoke to a number of attendees and other participants about the life-changing work we do and made new connections along the way! We provided free resources that included DVDs, “My Plate” in Somali language, tobacco information in Karen and Somali, and our family planning booklet “Decisions about Child Spacing” in Karen and Somali. If you are interested in any of WellShare’s resources, please visit our Resource & Tools page. Video courtesy of: Minneapolis City Clerk’s Office.